Gatchalian endorses Villar: Sen. 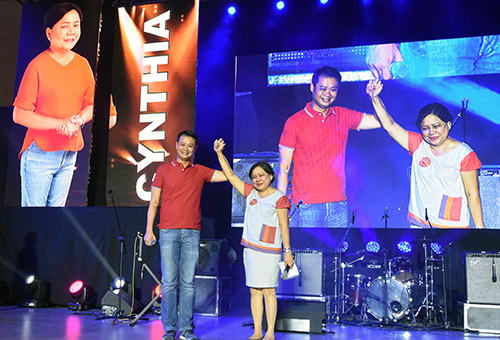 Win Gatchalian endorses the reelection bid of Sen. Cynthia A. Villar who has been known as “Misis Hanepbuhay” for giving jobs and livelihood to improve the lives of Filipinos. The senator has been espousing on “Sipag and Tiyaga, is also being supported by Hugpong ng Pagbabgo, the regional political party founded by presidential daughter Davao City Mayor Sara Duterte. Gatchalian called on his constituents during the political rally in Valenzuela to rallied behind the candidacy of Villar, chair of the Senate committees on food and agriculture and environment.